With Students Like Payne Stewart, Zach Johnson, KJ Choi, & Stewart Cink, You Can be Confident that Pat O’Brien Knows Putting! 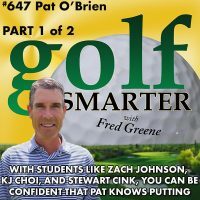 647: Pat O’Brien has been the putting coach for Payne Stewart, Zach Johnson, KJ Choi, Stewart Cink, Vaughn Taylor, and Kelly Craft to name just a few. He’s also a brand ambassador for SeeMore putters. Did you happen to notice the amazingly long putts that Zach Johnson sunk on Saturday at this year’s Open Championship at Carnoustie? Yes, he’s still using a SeeMore putter! 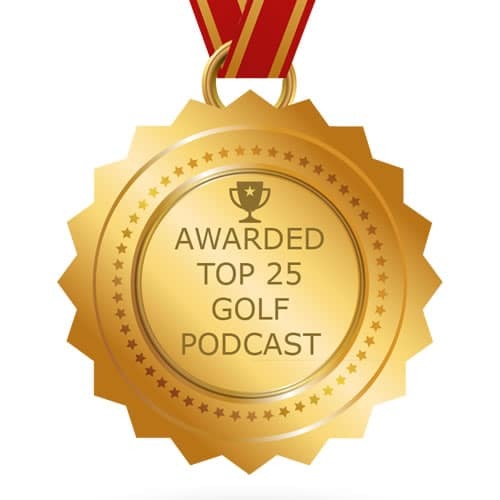 In the first of two episodes with Pat, we learn the history of how he became the caddy, putting coach, and close friend of Payne Stewart, why he chose to coach over being a Tour Pro, and why he is such a big fan of the SeeMore putters. 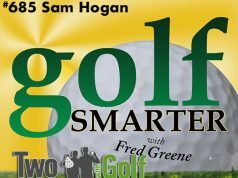 In episode 644 with Dr. Joe Parent, he mentioned ShoeTips as a way to stay focused on only one or two swing thoughts during your round. The folks at ShoeTips.com have made a generous offer of 25% off your purchase with the checkout code “golfsmarter”. I’ve used them a couple times now, and they definitely have saved me some strokes. 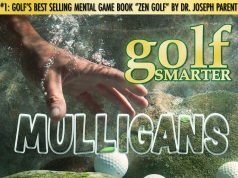 Next articleThe Perfect Putting Grip and Putting Myths That Will Change Your Perspective.